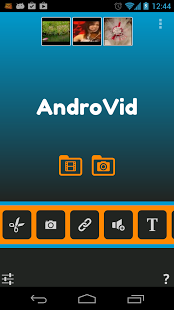 AndroVid Pro Video Editor v2.8.4 – Trim, merge, split, transcode, add music, add text, apply effects, grab video frames, make slideshow, share your videos, convert to many audio and video formats. IMPORTANT SELLER NOTICE: AndroVid Pro is the ad-free, commercial version of AndroVid application. You can try all PRO features in the Free version. Before buying AndroVid Pro, please try the free version first, because some features may not work on your phone. – Trim your videos and produce clips. – Share your video clips and grabbed video images. Upload your videos to facebook, youtube etc.